Sometimes getting lost is an awesome way to discover a new and unfamiliar place. That being said, it certainly helps to research some key things about your destination before you head off. Read on for a few Hamden tips and tricks. Hamden is a neighborhood in the well-loved city of New Haven. You'll find it 6 miles (10 kilometers) north of the center. The population of New Haven is roughly 130,000. With Travelocity, you'll score a fabulous bargain if you book an accommodation and flight package. You can also pick from at least 400 airline partners and 665,000 places to stay. Are you after a stress-free vacation experience? Our Customer 1st Guarantee gives you the security of 24/7 personal assistance on all services. Have you found a better deal? We'll meet the price and refund the difference^. Do you want to have a little more freedom in your vacation plans? Our package deals can be modified with no hidden fees. And so long as you get in quick, many accommodations don't charge fees either^. Unpack your gear and get some shut-eye at one of the 9 accommodations just a short drive from the heart of Hamden. Unfortunately, properties are few and far between in the center, but a cozy bed isn't too far away! The Omni New Haven Hotel at Yale (155 Temple St) and the Courtyard New Haven at Yale (30 Whalley Ave) are our top recommendations for this locale. Where do you fly into for Hamden? Admire the scenic vistas as you descend into Bradley International Airport (BDL). Pick up your baggage, get through security and you'll be roughly 40 miles (64 kilometers) to the north from central Hamden. Can I rent a car in Hamden? Forget about hanging around for the bus. Search up your car rental options via Travelocity and get the most out of your time in Hamden. Landing in Tweed - New Haven Regional Airport? After you disembark, you can rent a car right at the terminal. Some of the best options include Budget and Avis. It's reassuring to know that you can rent a car close to the downtown area. Located at 2260 Whitney Avenue, Dollar Rent A Car will get you cruising around in no time. Thrifty Car Rental is another good option that you can use. It can be found at 2260 Whitney Avenue, only 1 mile (2 kilometers) from the city. Being among nature has been shown to benefit both your physical and spiritual well-being. Take a trip to Sleeping Giant State Park and reap the benefits of connecting with the natural environment. Need some more nearby options? Renowned for its architectural aspects, beautiful surrounds and well-established traditions, Quinnipiac University is steeped in history. Walk around the faculties and take in its timeless atmosphere. And there's more. It's widely said that knowledge is power. With that in mind, you're sure to feel a bit more powerful when it's time to leave Ireland's Great Hunger Museum. Visit North Haven. 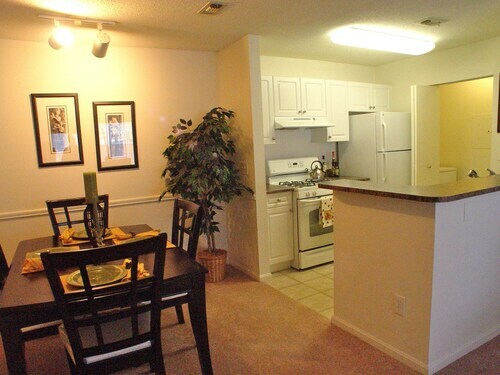 It is located just 4 miles (6 kilometers) away. 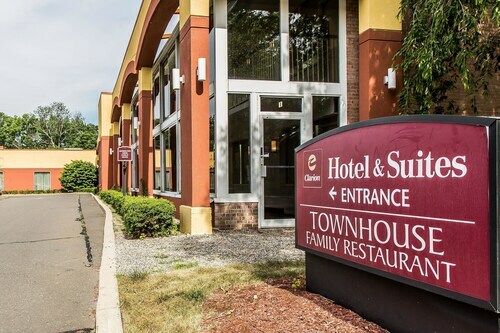 Located in the heart of Hamden, this hotel is 1.8 mi (2.9 km) from Ireland's Great Hunger Museum and 3.1 mi (5 km) from Sleeping Giant State Park. Yale University and Eli Whitney Museum are also within 6 mi (10 km). Located in the heart of Hamden, this hotel is 1.7 mi (2.8 km) from Ireland's Great Hunger Museum and 3 mi (4.8 km) from Sleeping Giant State Park. Yale University and Laurel View Country Club are also within 6 mi (10 km). Situated in Hamden, this hotel is within 3 mi (5 km) of Ireland's Great Hunger Museum, Laurel View Country Club, and Sleeping Giant State Park. Quinnipiac University is 3.1 mi (5 km) away. 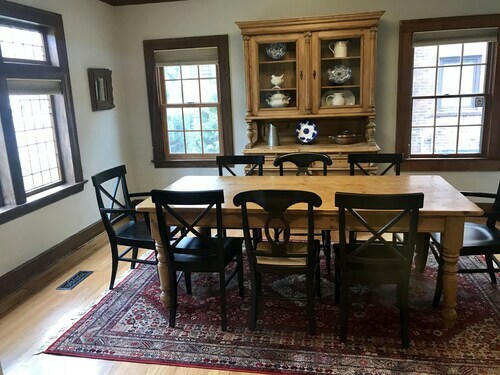 Situated in Hamden, this vacation home is 0.7 mi (1.1 km) from Southern Connecticut State University and within 3 mi (5 km) of Yale University and Yale-New Haven Hospital. Albertus Magnus College and Hospital of Saint Raphael are also within 2 mi (3 km). 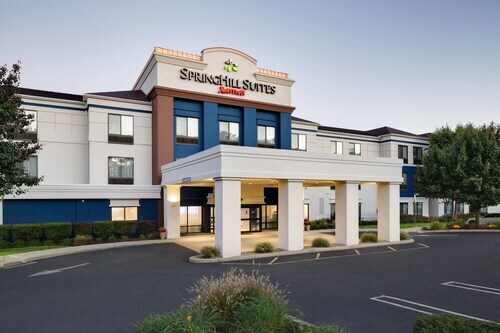 Just off highway I-95, Hyatt Place Milford / New Haven is a 5-minute drive from Westfield Connecticut Post shopping mall. Trains from nearby Milford Station connect guests to New York's Grand Central in less than 2 hours, and to New Haven in 17 minutes. Beaches at Silver Sands State Park and Yale University are just a 15-minute drive away. Situated in the business district, this hotel is within 3 mi (5 km) of Silver Sands State Park, Walnut Beach, and Port Milford. Perry House and Academy Hill are also within 6 mi (10 km). Situated in the entertainment district, this hotel is 0.4 mi (0.7 km) from Roosevelt Forest and within 6 mi (10 km) of SportsCenter of Connecticut and Boothe Memorial Park and Museum. Beardsley Zoo and Academy Hill are also within 9 mi (15 km). Situated in Milford, this hotel is within 3 mi (5 km) of Silver Sands State Park, Walnut Beach, and Port Milford. Perry House and Academy Hill are also within 6 mi (10 km).